I am a New Person in Christ! 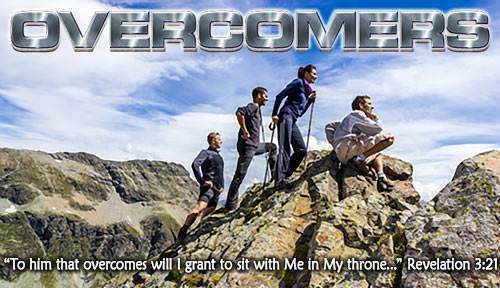 Lesson 4 Questions in "Overcomers"
a) my many sins and He saw me as a sinner in Satan's kingdom of darkness. b) my sins and He saw me as a nice person who had not sinned a lot. a) by accepting me as I was. b) by putting me in Christ on the cross. 4. How do I know that I was "crucified with Christ"? a) Because I feel like I was. b) Because God's Word says so. 6. In God's sight my old life as a sinner "in Adam"
a) will not end until I die. b) ended with my death with Christ. b) as a better person than I was before. a) the kingdoms of this world. b) the kingdom of His dear Son. a) I am now a better person. b) I am a new person in Christ. 10. How do I know for sure that I am a new person in Christ? a) Because I feel better. b) Because God says so in His Word.